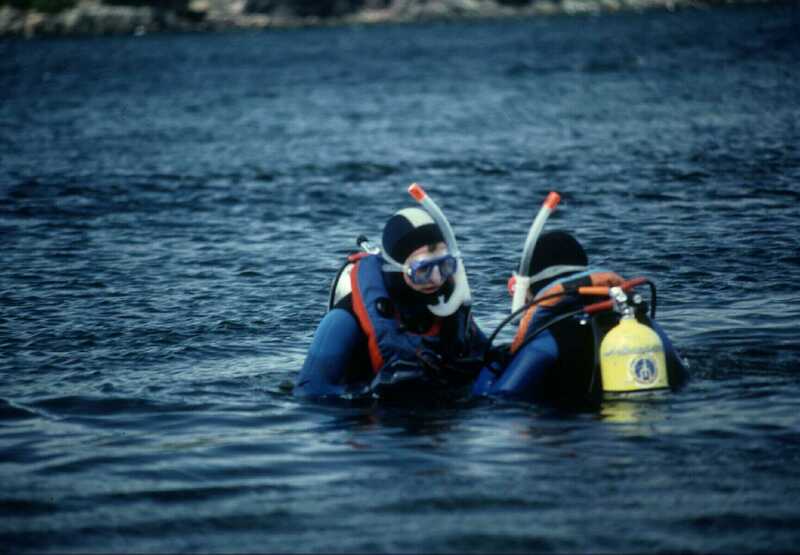 Conception Bay Diving, Explore the Wrecks from World War II Submarine attacks. 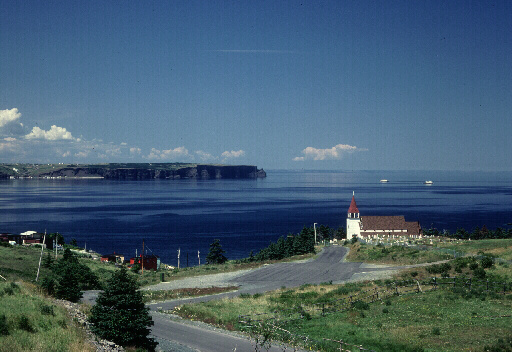 Conception Bay, Newfoundland was one place where World War II reached the shores of North America. At Bell Island in 1942 torpedoes struck the Scotia loading pier. Four ore carrier ships were sunk while being loaded with iron ore at Lance Cove. On September 5 two Canadian ships were attacked and sunk during the daylight by a German U-boat. They were the Lord Strathcona, and the Rose Castle. On November 2, 1942 the British Saganaga, and the French PLM 27 were attacked and sunk at night at Lance Cove by a German U-boat. As a result of both attacks sixty-nine lives were lost. The wrecks at Lance Cove have been ranked among the best in the worldwith regards to visibility, abundance of marine life, condition of wrecks, and accessibility. 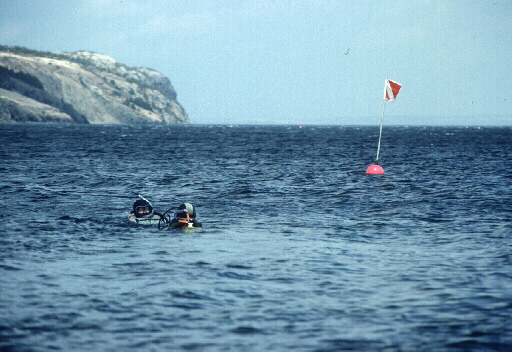 The geographic features of Conception Bay and Bell Island have created some protection for the wreck sites and the cold Atlantic minimizes the deterioration due to time. Fortunately in July, temperatures become inviting for divers because the warm Gulf Stream diverts the cold Labrador Current. 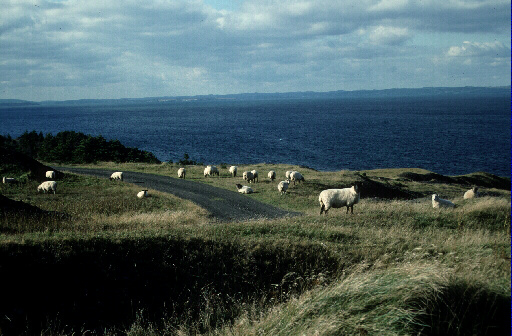 At first glance of Conception Bay from the heights above Topsail shows Bell Island and Kelly's Island, and the distant outlines of the North side of the Bay. Kelly's Island received its name from a noted pirate who used that island over 300 years ago. In the lagoon on the East end of the Island a large Anchor can still be seen embedded in the Beach where the bold Kelly careened his ships and fitted them for raids on atlantic trade. Legends says that somewhere on the island lies a fabulous treasure hidden by the Pirate.